ProvenancePrivate UK collection, late 1970’s. 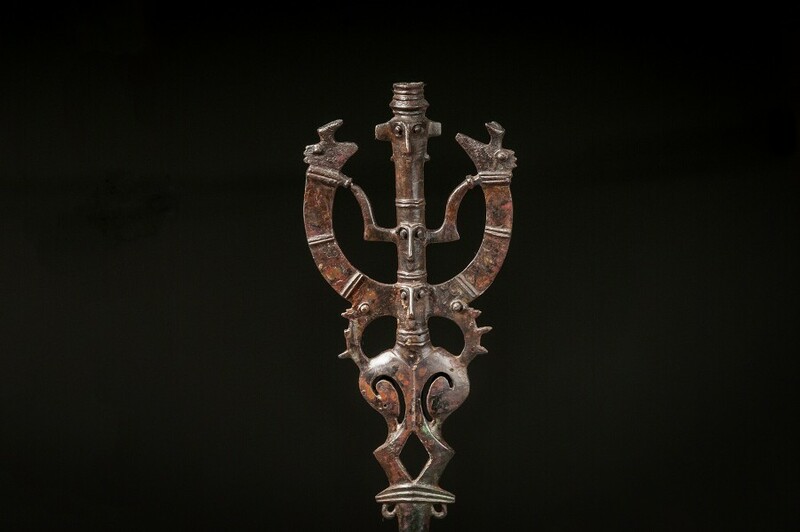 The area of Luristan, in western Iran, was home to a rich tradition of bronze-working in the early part of the first millennium B.C.E., producing an array of finely-crafted and distinctive objects unique to the region. 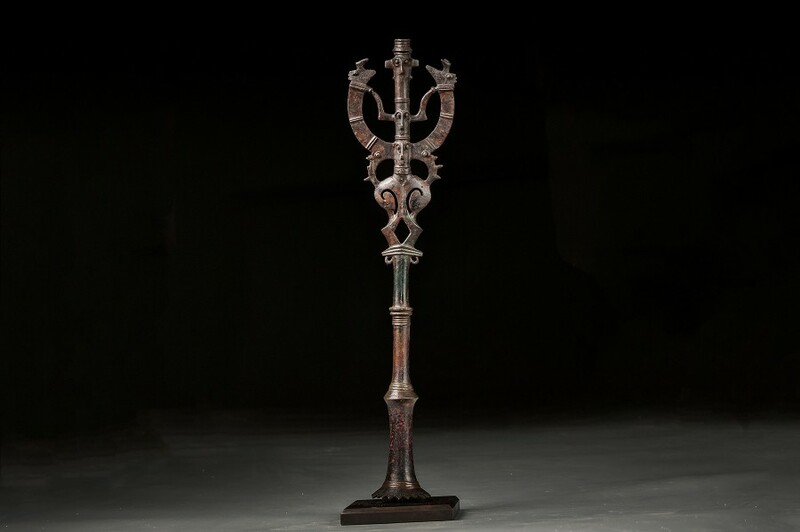 This intricately-cast standard finial was originally intended to sit atop a ceremonial staff to be carried in a procession; the bell-shaped socket at the lower end was designed to enable attachment. The finial represents, in highly stylized form, the ‘Master of Animals’, a deity considered ancient even at the time this piece was made, and who probably had origins in Stone Age hunters’ cults. The figure has a cylindrical body, with three faces along its length. With a pair of slender arms, it fends off two serpent-like creatures. The lowest part of the figure has an exaggerated, oval-shaped torso and stands on a pair of short, bowed legs.